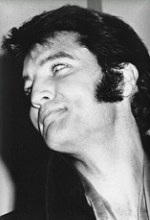 Elvis in Las Vegas – Elvis Vegas Press Interview 1969 – Elvis in Concert Throughout his lifetime Elvis gave very few interviews. When he did, the questions where so blase we discovered little about the man behind the legend. In this rare interview, the first in 9 years Elvis spoke determined to set the record straight while displaying an ability to joke about himself. Following the opening of Elvis Presley Las Vegas show at the International Hilton on 29 July 1969. No longer contracted to Hollywood and with the success of 68′ Television Special looming fresh, a mature Elvis was reawakened with his return to performing live on stage. For opening night, Elvis trimmed off the Hollywood fat. Now slim and handsome, looking healthy and relaxed in a simple black suit, he held off the press questions with all the bravado of an icon while he seated himself and took a deliberate, long sip of water. Without the benefit of one question being fired, Elvis went into his spiel. “How I got in this business and how I got started, where and when, and so forth… Its been written up so many times, people don’t even know – the true story,” Elvis explained in his cool Southern accent. “When I was a boy, I always saw myself as a hero in comic books and in movies. I grew up believing this dream… When I got outta High School I was driving a truck. Ya know, I was just a poor-boy from Memphis, Memphis,” said Elvis, denoting the name of his home with an exaggerated Southern accent. “I was driving a truck and training to be an electrician. He grinned. “I suppose I got wired the wrong way round somewhere along the line,” laughed, Elvis. “One day, I went into a recording studio and made a record for a guy named Sam Phillips on Sun Records. He put the record out in about a week. I went back to driving a truck and just forgot about it. Man, that record came out and was real big in Memphis. They started playing it, and it got real big. Don’t know why? (laughs) The lyrics had no meaning. 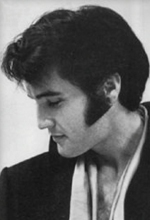 I was just this kid, who went awopah-awh-a-awh on record,” Elvis said impersonating his vocals. “Anyway, they put the record out and it got pretty big in the South. But I still had my job. Awh was driving a truck daytimes and working nightclubs at night… and things like that. The 1970 concert documentary has been re-mastered, revised and is on sale now! This latest offering audience’s get to see the superb musical instincts and raw charisma of the man who, single-handedly defined Rock-n-Roll in the ’50s. Directed by Denis Sanders, the documentary chronicles Elvis’ triumphant Las Vegas appearances – which were widely cheered Elvis fans when first, released in 1970. 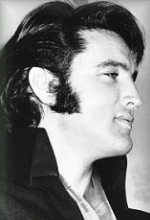 The ‘new’ version has been vastly reworked with more than half an hour of new concert and rehearsal footage that focuses more on Elvis’s creative process than his celebrity. Producer Rick Schmidling, editor Michael Salomon and rerecording mixer Bruce Botnick, spearheaded the new project. Unlike the actor of the previous 29 Hollywood formula films, Elvis comes alive in front of the camera in this documentary, whether horsing around with his musicians during rehearsal or losing himself on stage in the music. Elvis is a t his consummated best in front of a live audience. As soon as, “Heartbreak Hotel” established the Pelvis in 1956, Elvis headed for Hollywood. Just as rock ‘n’ roll was viewed as a passing fad, Elvis enticed his manager, Col. Tom Parker, to help make his dream come true of becoming an actor like his heroes James Dean and Marlon Brando. Sure Elvis made a few decent films, but any hopes of being a serious actor were soon sabotaged by Parker, who wanted long-term, big-money guarantees rather than creative control of the films. So, the promise of such films as, “Loving You,” “Jailhouse Rock” and “King Creole” gave way to travelogue tales, pretty women, and asinine soundtracks. Presley complained in private, but he continued to make 31 Hollywood movies over 16 years. Elvis received rave reviews and set box-office records that even Frank Sinatra couldn’t match. 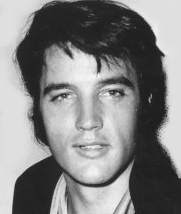 After a second spectacular engagement at the International in January 1970, Parker signed with MGM to do a documentary of Presley’s third International stint . In retrospect, the documentary might have been stronger if Sanders had shot it during the second engagement. Driven by the challenge of performing to a live audience after a decade away, Elvis was thoroughly focused in the first two engagements. However, by the summer the challenge was gone, and Elvis was fast becoming a caricature of his former self. 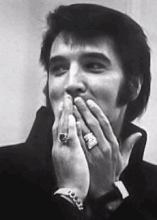 Still, some insightful moments are thrilling, when Elvis like a man un-caged, makes all his songs a unique experience. In 1956 I met Colonel Sanders,” Elvis burst into a laugh. “Nay, nay, Parker, I mean Parker. He arranged to have me go on television.” Elvis drew a deep breath remembering the unsavory episode of being forced to sing HOUND DOG to a basset dog dressed in a top hat. “So they put me on television. And the whole thing broke loose. It was wild. I tell ya for sure. I did the Ed Sullivan show, four times. I did the Steve Allen show. I did the Jackie Gleason show. They had me singing to a dog and filmed me from here up,” Elvis put his hand to his waist. “All the time, they were telling me. ‘Hey! You! Stand still! Stand still!’ And they kept asking me, ‘we’re you from white-boy?’ I told them, Memphis, Memphis. They thought, ‘he’s a dummy, we’ll just put him in back.” Elvis broke up and laughed. “I gotta tell you,” continued Elvis in a somber tone. “The first time I auditioned for the Arthur Godffrey talent show they turned me down! They said, ‘m-a-n get him outta here! Get him out!” They took that jerk-off, instead! What’s his name?